We are super excited to have released Mad Agents Version 2.0.1 this week featuring compatibility with the PowerShell Made For iOS, or MFi controller. Mad Agents retro, 8-bit universal free game by family-owned iOS app development studio Startled Monocle now features PowerShell compatibility. MISSION VIEJO, CA – January 24, 2014 – Startled Monocle App Development Studio announces Mad Agents version 2.0.1. 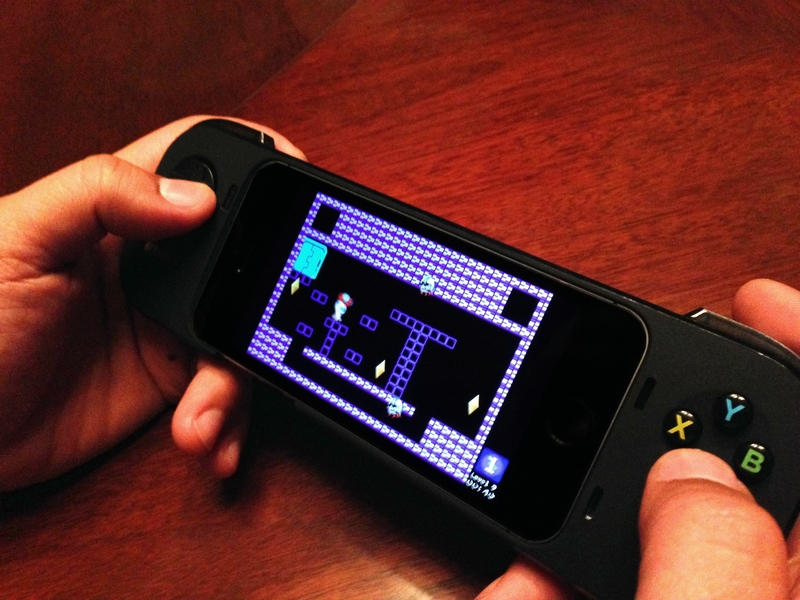 The free retro, 8-bit app is now compatible with Logitech’s PowerShell MFi controller for iPhone 5, iPhone 5S, and 5th generation iPod. PowerShell controllers are available for purchase in Apple Stores. The Mad Agents app is also compatible with the MOGA ACE™ POWER controller. Version 2.0.1 of the retro-inspired platformer offers real-time multiplayer gameplay over Game Center. Players use power-ups, stealth, and cunning to disable enemy agents through 54 levels and 6 boss levels with the end goal of rescuing the hero’s fellow agents and friends. Players must collect all 180 gems to unlock multiplayer. Startled Monocle is a family-run iOS app development studio based in Orange County, California. The studio specializes in games fit for any audience. Startled Monocle game designers have a propensity for inserting retro gaming elements nostalgic of their childhood. Startled Monocle continues to innovate in mobile gaming, providing Apple iOS device users with a fun, interactive gaming experience for any age.